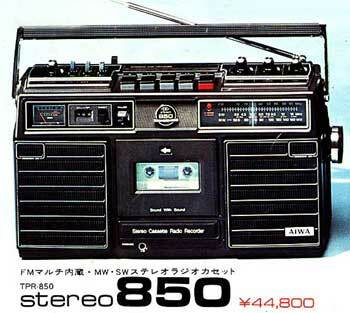 Released the same year as the 801, the TPR-850 lacked some of the functionality, but is still nice. We haven’t found any indication that Aiwa boomboxes made it to the US until 1980 or 1981. Philips made the Original boombox in 1966, model 22RL962.